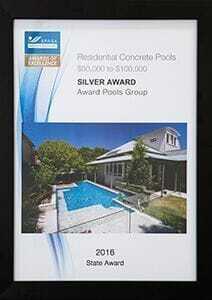 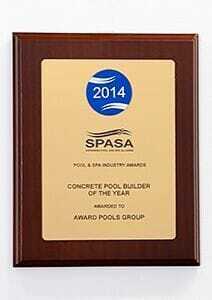 Concrete Pool Builders of the Year 2014, 2015, 2016, 2017 & 2018. 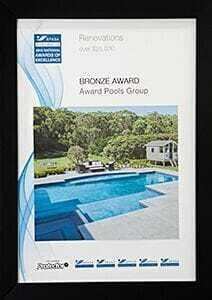 Award Pools Group has received many awards from the Swimming Pool and Spa Association, the Landscape Contractors Association and the Master Builders Association. 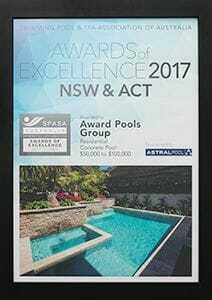 In fact, Award Pools Group has been the most awarded SPASA pool builder over the years, which we think makes us one of the best pool builders in Sydney. 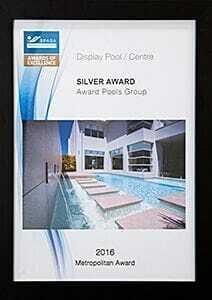 The last three years alone have seen 40 metropolitan, state and national awards added to our impressive collection. 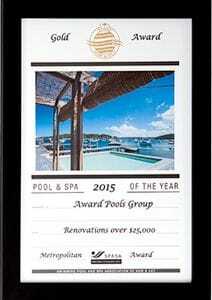 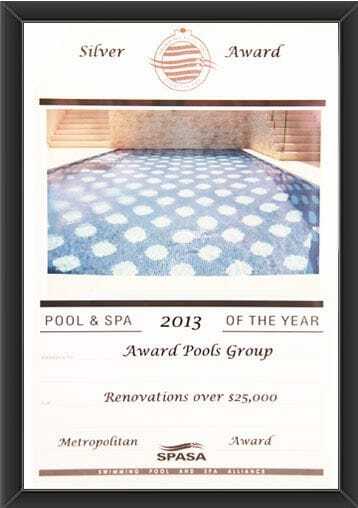 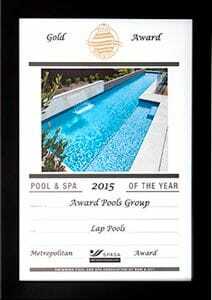 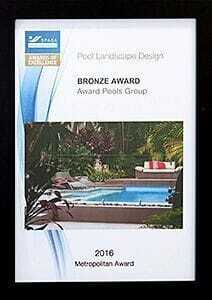 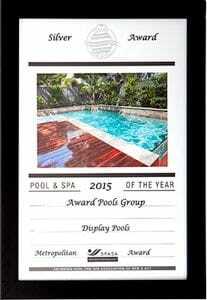 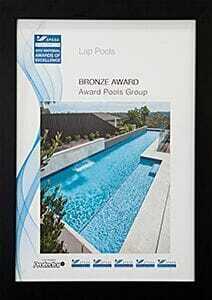 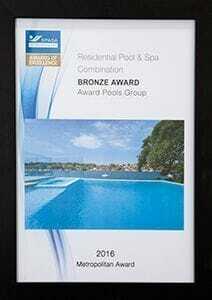 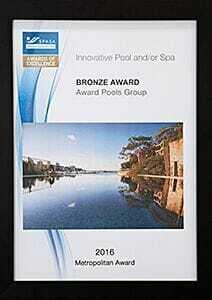 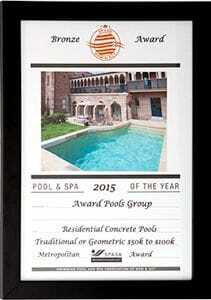 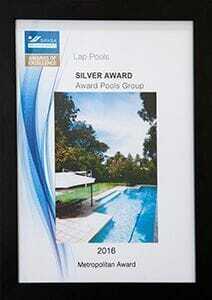 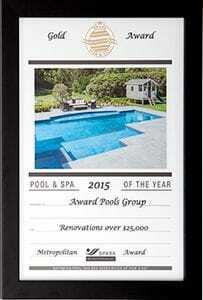 Award Pools Group has received international awards from the National Spa and Pool Institute in the United States. 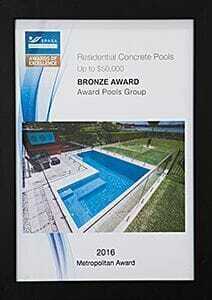 In addition, Award Pools Group is the only concrete pool builder to be awarded the Ellis Champion Award for innovative construction. 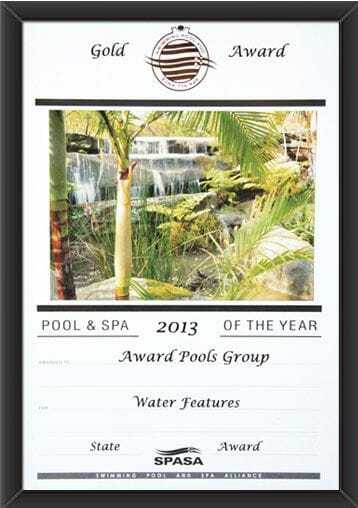 In total, we have over 200 state, national and international awards. 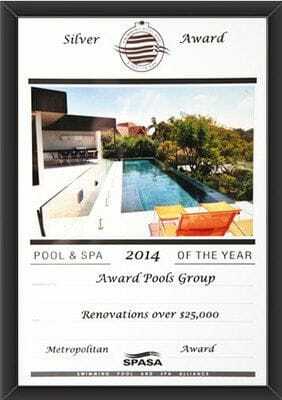 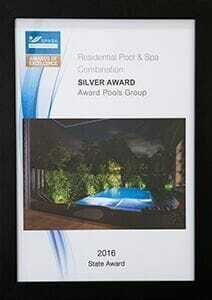 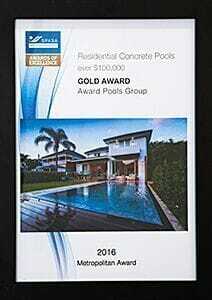 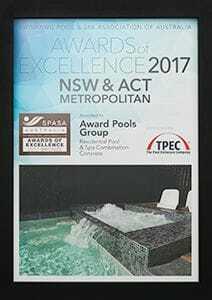 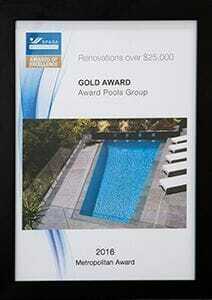 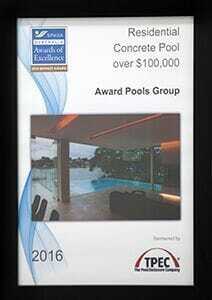 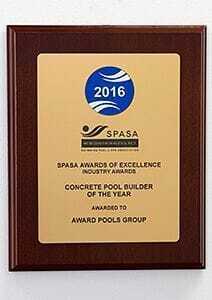 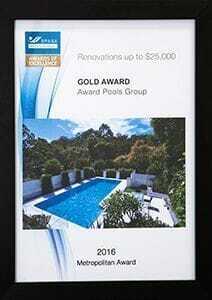 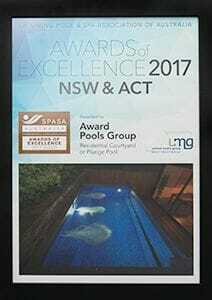 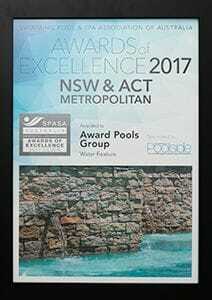 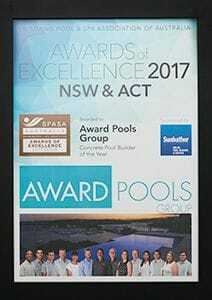 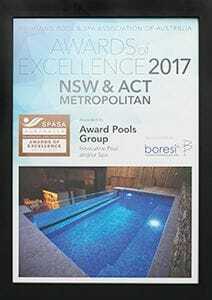 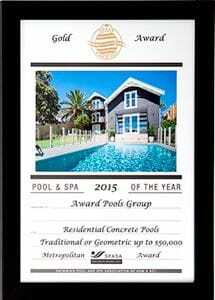 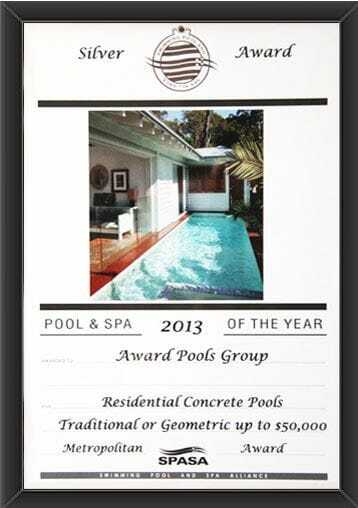 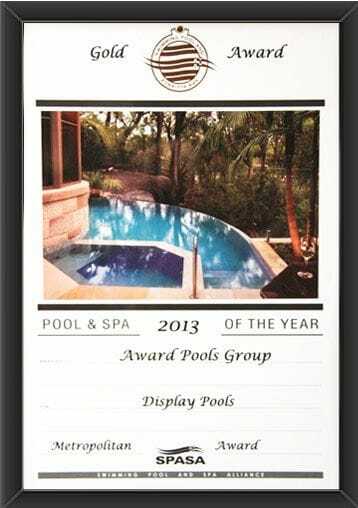 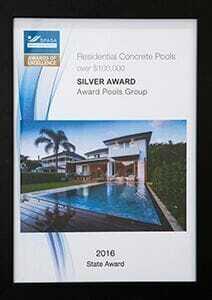 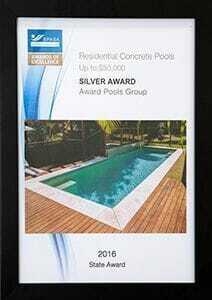 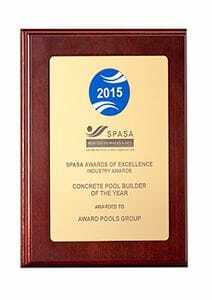 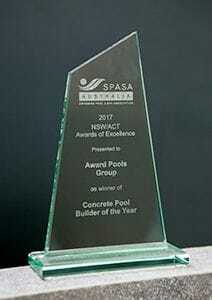 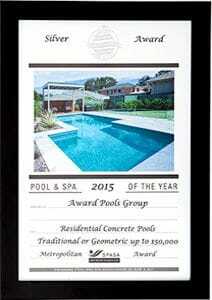 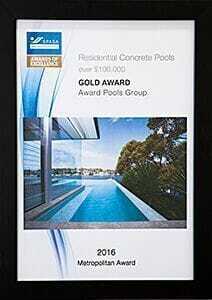 In 2014, 2015, 2016, 2017 and 2018, Award Pools Group was awarded the prestigious SPASA award for "Concrete Pool Builder of the Year" at the presentations in Sydney. 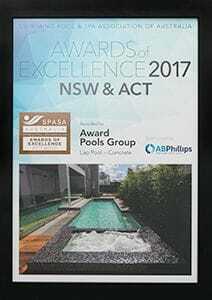 The Swimming Pool and Spa Association (SPASA) is a peak industry body representing hundreds of businesses within Sydney and Australia's pool and spa industry. 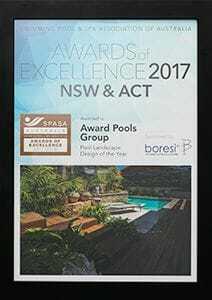 The SPASA Australia Awards of Excellence recognise achievement in design, construction, innovation, and professionalism across the industry. 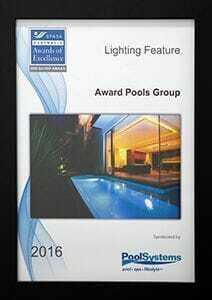 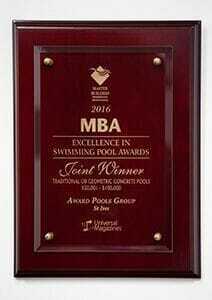 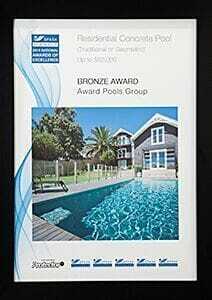 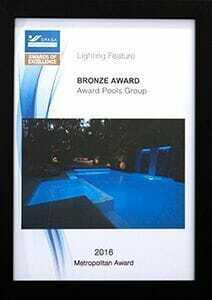 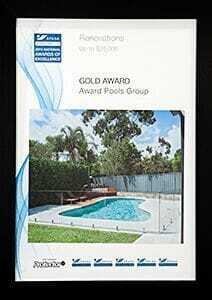 Award Pools Group proudly received this highly recognised industry award in recognition of excellence and tireless work constantly striving to meet new concrete swimming pool and spa industry benchmarks. 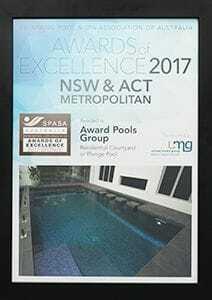 As Sydney based swimming pool builders, we differentiate ourselves with ingenuity, creativity and true innovation within the pool and spa industry. 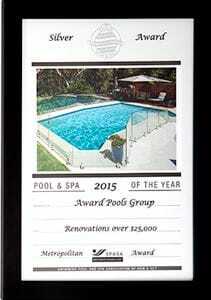 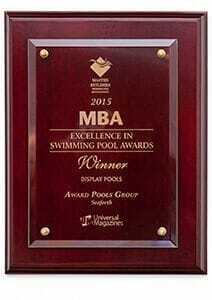 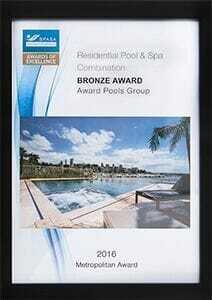 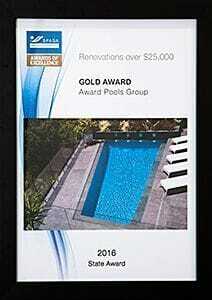 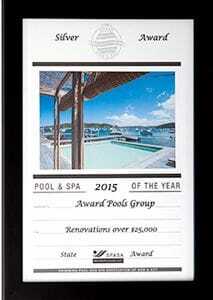 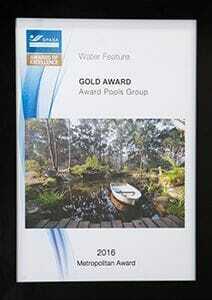 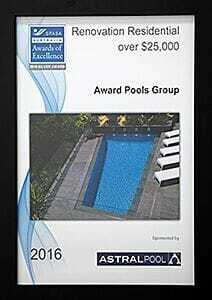 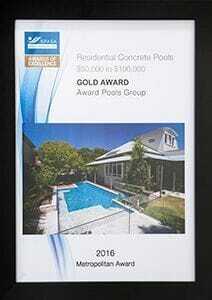 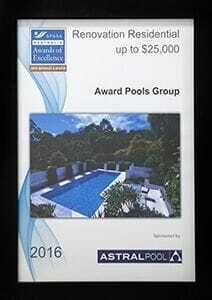 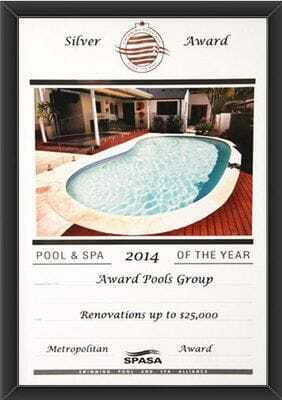 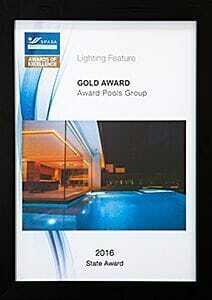 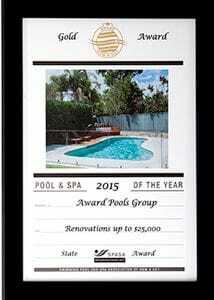 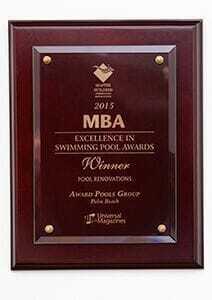 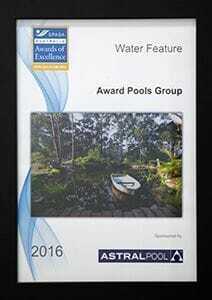 Award Pools Group has been recognised for providing outstanding service to our clients. Please contact us to find out how we can help you.